Ottawa (Canada): Canada will offer temporary residency permits to travellers who become stranded here by President Donald Trump's order banning travellers from seven Muslim-majority nations, the immigration minister said Sunday. Ahmed Hussen, a Somali refugee, was recently named Canada's immigration minister. He said no one is currently stranded at the country's airports by the ban. 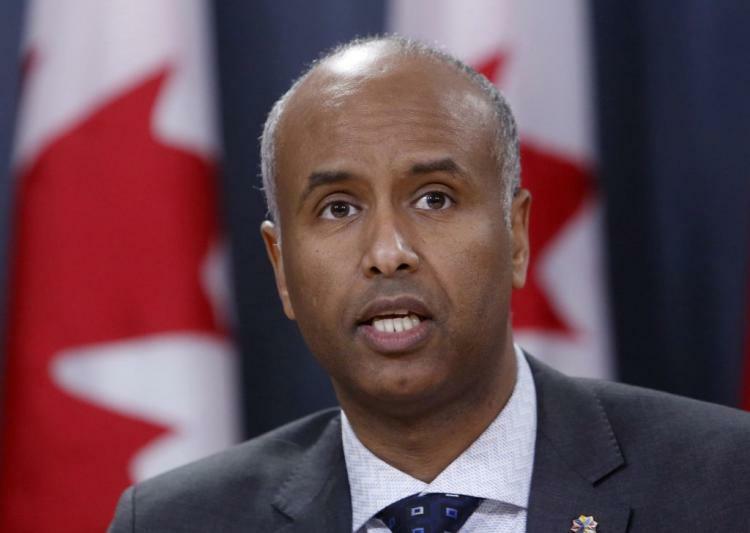 Hussen said White House officials have offered assurances that permanent Canadian residents can enter the U.S. if they have a valid Canadian permanent resident card and a passport from one of the countries affected. Permanent residents are the equivalent of green card holders in the United States. Dual citizens with a Canadian passport can still enter the U.S. The U.S. State Department had initially said that dual Canadian citizens were included in the ban. But Daniel Jean, Canada's national security adviser, said Trump's national security adviser Michael Flynn assured him that dual Canadian citizens are not affected. He said he first learned of the ban on travelers through the news media, and doesn't believe the measure makes the world any safer. Earlier on Saturday, Canadian Prime Minister Justin Trudeau said his country will welcome "those fleeing persecution, terror and war", regardless of their faith, even as neighboring US banned the entry of immigrants from seven Muslim majority countries. "To those fleeing persecution, terror & war, Canadians will welcome you, regardless of your faith. Diversity is our strength #WelcomeToCanada." Trump tweeted. Meanwhile, more than 200 leaders of Canada's technology sector signed an open letter urging the federal government to provide working visas to tech workers affected by the Trump administration's action. The letter requests visas allowing people who were working in the sector in the U.S. to now live and work in Canada with access to benefits while they apply for permanent residency, if they choose.